"Cause" shall include any cause, suit, action, or other proceeding in the Court of Admiralty. 16. Proceedings where a claim is made to goods taken in execution.- If any claim shall be made to any goods or chattels taken in execution under any process of the High Court of Admiralty, or in respect of the seizure thereof, or any act or matter connected there- with, or in respect of the proceeds or value of any such goods or chattels, by any landlord for rent, or by any person not being the party against whom the process has issued, the registrar of the said Court may, upon application of the officer charged with the execution of the process, whether before or after any action brought against such officer, issue a summons calling be- fore the said Court both the party issuing such process and the party making the claim; and thereupon any action which shall have been brought in any of Her Majesty's Superior Courts of Record, or in any local or inferior Court, in respect of such claim, seizure, act, or matter as aforesaid, shall be stayed; and the Court in which such action shall have been brought or-any judge thereof, on proof of the issue of such summons, and that the goods and chattels were so taken in execution, may order the party bringing the action to pay the costs of all proceedings had upon the action after issue of the summons out of the said Admiralty Court; and the judge of the said Admiralty Court shall adjudicate upon the claim, and make such order between the parties in respect thereof and of the costs of the proceedings, as to him shall seem fit; and such order shall be enforced in like manner as any order made in any suit brought in the said Court. Where any such claim shall be made as aforesaid, the claimant may deposit with the officer charged with the execution of the process either the amount or value of the goods claimed, the value to be fixed by appraisement in case of dispute, to be by the officer paid into Court to abide the decision of the judge upon the claim, or the sum which the officer shall be allowed to charge as costs for keeping possession of the goods until such decision can be obtained; and in default of the claimant so doing, the officer may sell the goods as if no such claim had been made, and shall pay into Court the proceeds of the sale, to abide the decision of the judge. 18. Party in Court of Admiralty may apply for an order for inspection by Trinity Masters, & c.- ny party in a cause in the High Court of Admiralty shall be at liberty to apply to the said Court for an order for the inspection by the Trinity Masters or others appointed for the trial of the said cause, or by the party himself or his witnesses, of any ship or other personal or real property, the inspection of which may be material to the issue of the cause; and the Court may make such order in respect of the costs arising thereout as to it shall seem fit. 25.Powers of registrar and of deputy or assistant registrar.- The registrar of the High Court of Admiralty may exercise, with reference to causes and matters in the said Court, the same powers as any surrogate of the judge of the said Court sitting in chambers might or could have heretofore lawfully exercised; and all powers and authorities by this or any other Act conferred upon or vested in the registrar of the said High Court of Admiralty may be exercised by any deputy or assistant registrar of the said Court. 28. 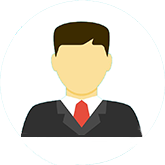 Qualification of examiners.- Any advocate, barriester-at-law, proctor, attor ney, or solicitor may be appointed an examiner of the High Court of Admiralty. 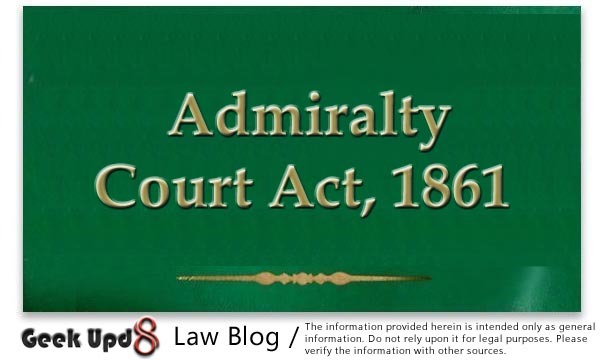 33.Bail may be taken the Court of Admiralty for the Court of Appeal & c.- In any cause in the High Court of Admiralty bail may be taken to answer the judgment as well of the said Court as of the Court of Appeal, and the said High Court of Admiralty may with- hold the release of any property under its arrest until such bail has been given; and in any. appeal from any decree or order of the High Court of Admiralty the Court of Appeal may make and enforce its order against the surety or sureties who may have signed any such bail bond in the same manner as if the bail had been given in the Court of Appeal. 34. Hearing of cross causes.- The High Court of Admiralty may, on the applica- tion of the defendant in any cause of damage, and on his instituting a cross cause for the damage sustained by him in respect of the same collision, direct that the principal cause and the cross cause be heard at the same time and upon the same evidence; and if in the principal cause the ship of the defendant has been arrested or security given by him to answer judgment, and in the cross cause the ship of the plaintiff cannot be arrested, and security has not been given to answer judgment therein, the Court may, if it think fit, suspend the proceedings in the principal cause, until security has been given to answer judgment in the cross cause.